Send your own work of art as a card! 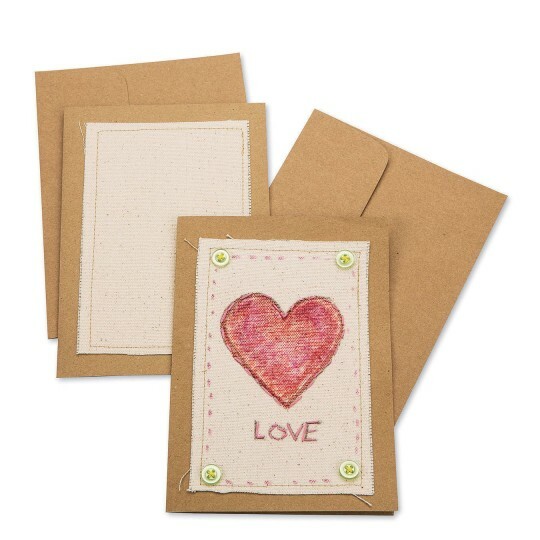 Craft paper greeting cards with sewn unprimed canvas panel. We recommend crayons, permanent markers, gems and other decorating supplies! All supplies sold separately. Includes matching craft paper envelopes. Folded greeting card measures 5 x 7. Very durable.Great quality.Great to use with older kids/adolescents.Made Valentine's cards--great for any occasion.